As a young man in the late 1950's, the first commercial airliner I flew on was the Lockheed "Constellation", and the Douglas DC-3. So, in the early 1960's, when the Boeing 727 came along, it was very exciting to be aboard a fast, high-flying jet. I spent many hours on 727's, mostly on shuttle-length flights, like Dayton to Chicago. When the 737-100 was introduced, it also seemed "futuristic", with it's "high-lift" wings, etc., and those experiences are burned into my memory. 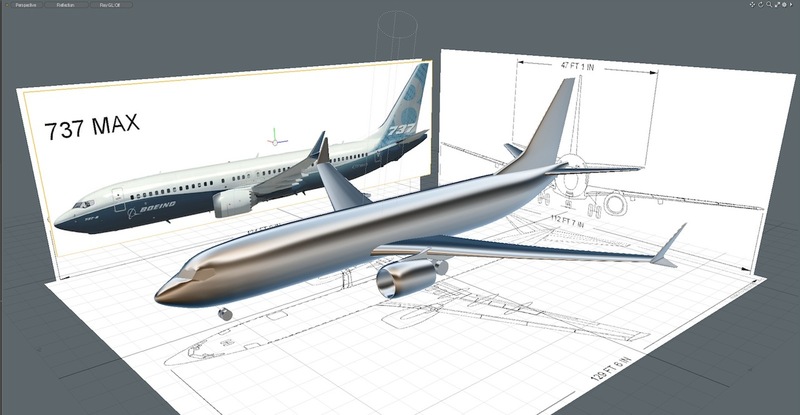 So, for some time now, I've been considering building a 737. 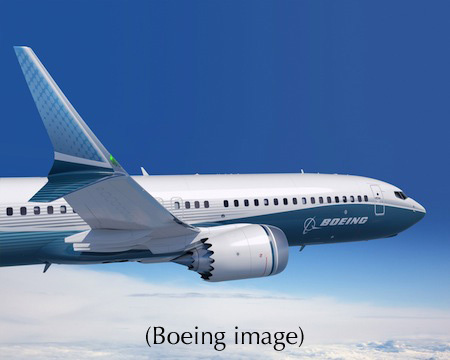 Since we know for sure (as of 2013) that Boeing is reinvesting in this aircraft, by adding new engines, new winglets, and other features, it seems like the timing is good to finally produce a model of it, and as of September, 2013, I've chosen the 737 MAX 8. (There will be a "7", "8", and "9" produced, so the "8" is the middle model. Documentation (in terms of orthographic drawings) is still sparse at this stage, so I'm beginning with drawings of the 737-8, and modifying it to the MAX configuration, based on everything I can find. 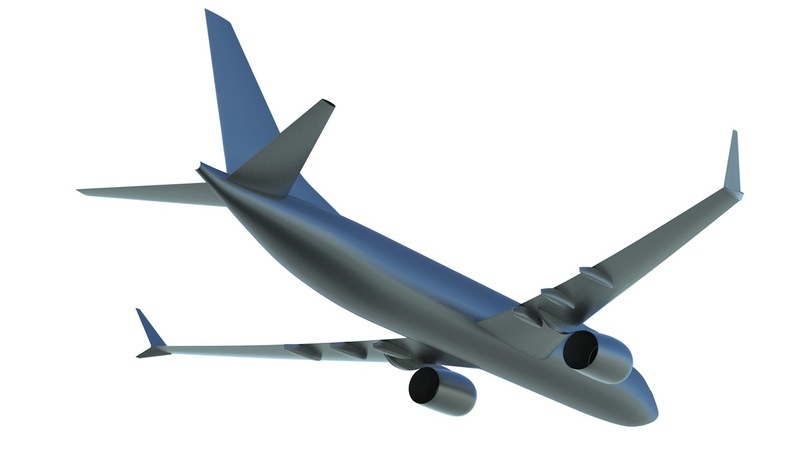 I'm also begging Boeing for help, so we'll see how that develops as the project moves forward. For many years, I've collected documentation on previous models of the 727 and 737, so getting the initial shapes in order wasn't too difficult. Changes to the MAX variant will include the new winglets, new engines and engine nacelles, slightly different nose gear, and possibly some changes to the wings. 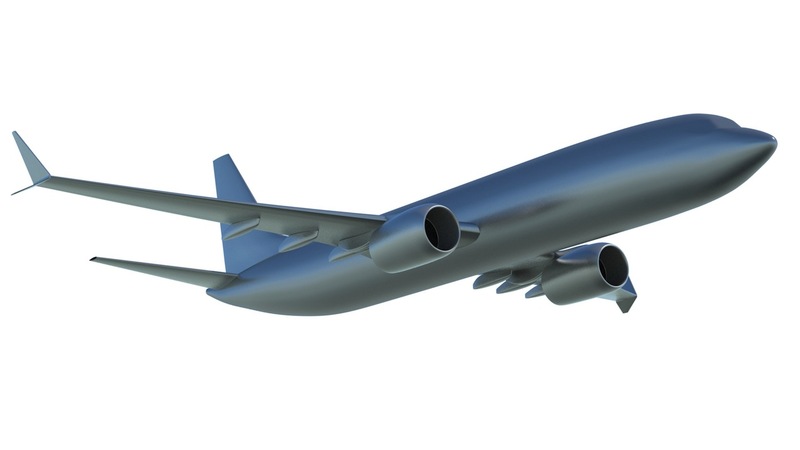 (some still under consideration by Boeing) The actual aircraft is currently scheduled to first fly in 2017, so documentation will improve over time. Here's what I've got so far.